A pin cushion is an essential tool for a sewer. Having your pin cushion on your wrist puts those pins in a very convenient place that is close at hand at all times. 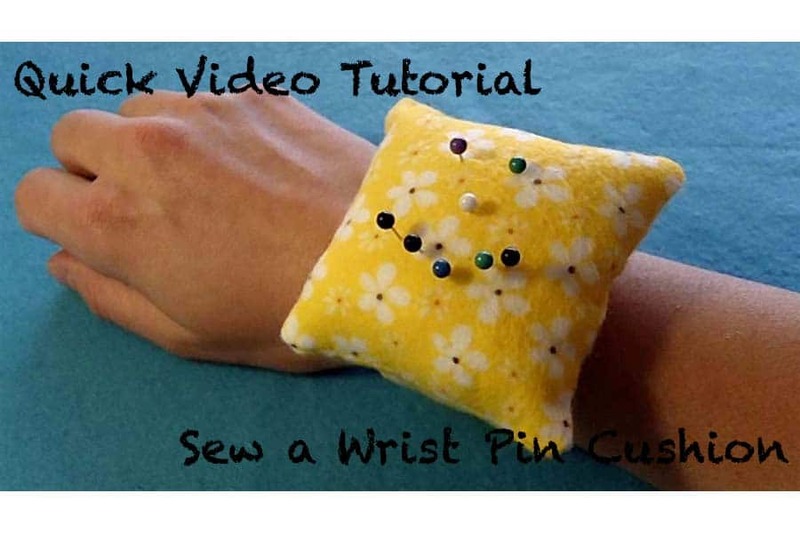 Here are my step-by-step video instructions (in 3 parts) for how to sew a wrist pin cushion from Easy Sewing for Beginners. Enjoy! Cut out two 3 ½” x 3 ½ “ squares of fabric and one 10 ½“ x 3 ½ “ strip of fabric. 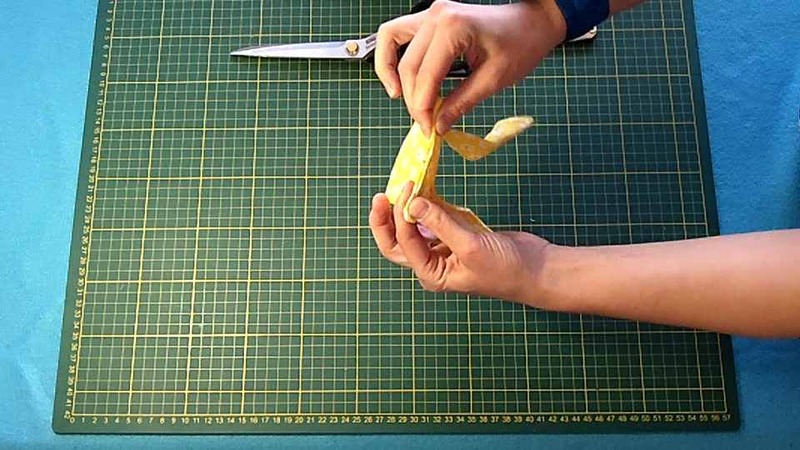 Take your strip of fabric and fold in half, length ways, with right sides of fabric together. Place pins to hold fabric together. Use double pins to show where you will leave a 2 ½“ opening on the long edge, for turning the tube right side out after sewing. Using a ¼ “ seam allowance, sew the 3 open edges of fabric ensuring you leave a 2 ½“ opening on the long edge for turning. Trim any loose threads and trim the corners of the strip to remove the excess fabric. Use the turning tool to turn the strap right sides out. Topstitch around the edge of the wrist strap. Sew the 3 ½ “ soft piece of Velcro (loop part) onto one end of the wrist strap. Sew the 1” rough piece of Velcro (hook part) onto the other end of the wrist strap, but on the opposite side of the strap. Work out where you would like the Pin cushion to sit on the wrist strap and pin in place. Sew the strap onto the cushion square. You can sew from one topstitched line on the strap to another and approximately 1 ½ “ along the topstitched line. Once the strap is sewn on, gather the strap up and pin to the middle of the square piece of fabric to ensure that you don’t accidentally sew over it when you go to sew the two square pieces of fabric together. Pin the two square pieces of fabric together with right sides facing. Use double pins to mark where you will be leaving a 1 ½ – 2 “ opening for turning the pin cushion right side out. Using a ¼” seam allowance, sew around the sides of the fabric squares, remembering to leave an opening for turning and stuffing. Snip off the fabric from the corners of the squares and snip any excess thread. Also, remove the pins that were holding the strap inside the pin cushion. Carefully turn the pin cushion right side out. Ensuring you don’t tear the fabric or undo the stitching. Push the corners out. Give the cushion an iron to form a crease at the opening. This will be your guide for you to sew along when it is time to ladder stitch the opening closed. Insert the 2 ½ “ x 2 ½ “ piece of thin cardboard into the pin cushion. Stuff the pin cushion tightly with stuffing. 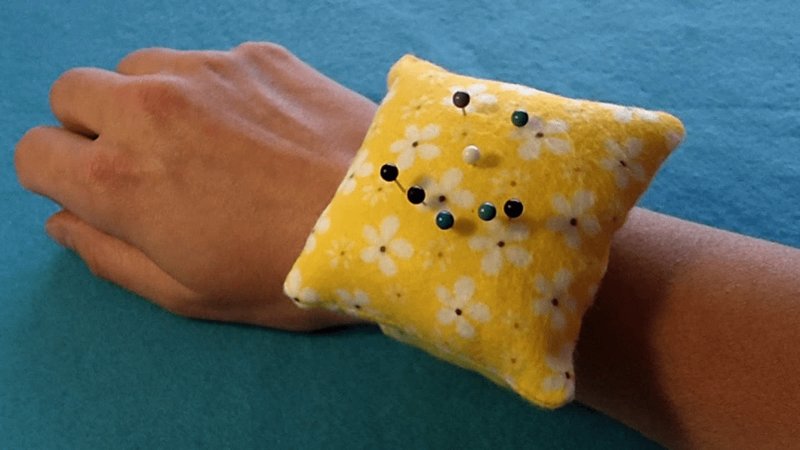 You have finished your Wrist Pin Cushion. Yay! Now you can make some for your family and friends or teach them how to make one. I would love to see a photo of your wrist pin cushion or hear about how you went with making this project. Made one of your pin cushions! Really liked your easy directions. Here’s my post linking credit to you. Thanks so much! Thanks for sharing your wrist pin cushion! It looks great! Happy pinning! I have just made it. I loved it. 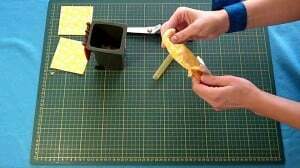 It was very easy and your instructions and mainly the videos of the step-by-step were great! I would like to send you the picture of it but I don’t know how. Thanks!!! Awesome! 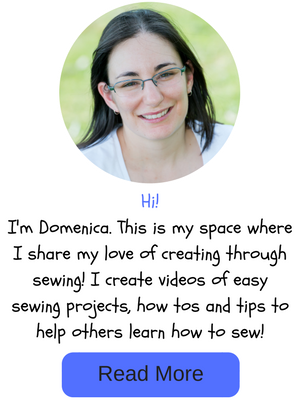 You could send one through to me on Facebook or to domenica (at) easysewingforbeginners . com Looking forward to seeing it ? Thanks for the instructions!! I love this pin cushion! I’m constantly sticking myself with the small rectangle pin cushions you can buy!! I like this big square one! I just saw your website and have already made 2!! !